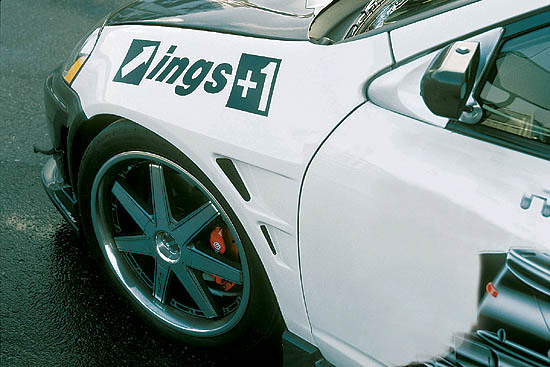 INGS Front Aero Wide Fenders are made from only the highest quality materials and are designed for unparalleled fitment and original styling. The Hybrid Aero fiberglass material is unmatched in the industry. It has all the positive characteristics of traditional fiberglass (lightweight, easy to repair, holds shape well) as well as the flexibility and durability of materials such as plastic or urethane.